The temporary device has not been working for several weeks. A new, updated version is on order and will be installed in St. Leonard’s Road area in the near future. The proposal to install bus lay-bys at Forest Boys School will shortly be out for general consultation. Forest Neighbourhood Council is supporting this proposal. This was discussed in great detail although Forest Neighbourhood Council has not been officially contacted or consulted. This Council is strongly objecting to the majority of the proposals because it does not perceive these to be democratic. Neighbourhood wardens are now able to use “warning” car stickers where cars are inappropriately parked. FNC is concerned that the sight lines of many junctions, especially in Brighton Road, are being blocked because of badly parked vehicles. We have councillor vacancies and will welcome enquiries about the councillor role from residents within the Forest Neighbourhood. Whilst we are a non-statutory council, we are a voice for local matters and liaise with Horsham District Council. 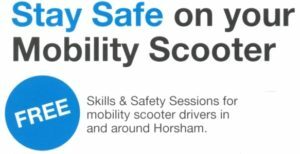 What's on in the Horsham District?